On an unassuming block in New York’s Chinatown, Anna Karlin has created a world of her own. Behind a plum-lacquered entryway, the multidisciplinary designer’s curiosities live in a singular space — formerly a burn-out print shop that Karlin renovated to her bespoke standards. Within six months, Karlin was welcoming guests into her wildly creative universe. Reinvention isn’t a novel concept for the self-taught designer. After all, she quit her position at prominent design firm in London two days after her start date, to begin anew as an art director and designer for the creative agency Marmalade. And following a move across the Atlantic, she became a furniture designer without any formal teachings. 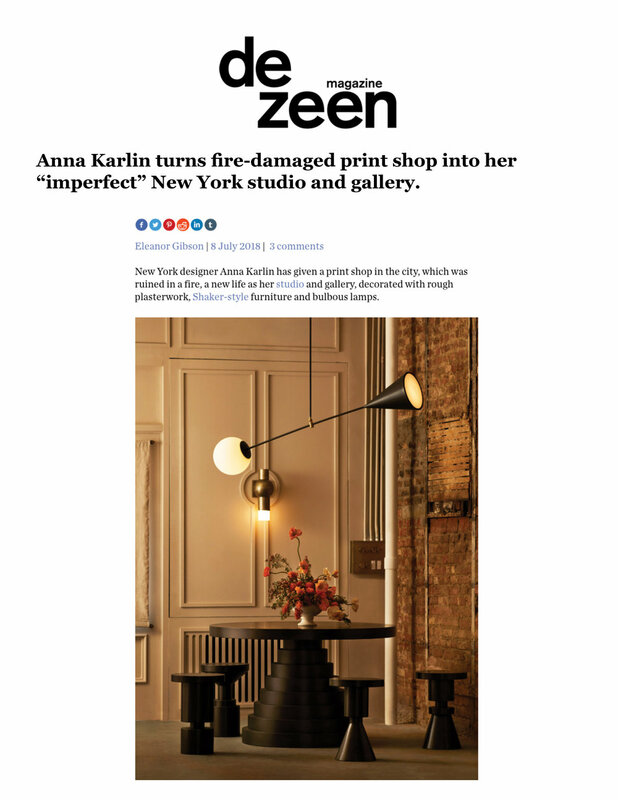 In 2013, Karlin debuted her first collection of furnishings, lighting, and objects at what is now the Beekman Hotel. While the selection spanned all mediums, including glass, ceramic, and wood, it remained aesthetically cohesive. “The material is dictated by a piece’s form. First comes the design, and then it knows what material it wants to be,” the London native explains of her process. As a result, her signature geometric Chess stools — which were originally inspired by milk churns — are finished in brass, while Karlin’s organically-shaped Dimple lamp melds together handblown glass and Portuguese pink marble.